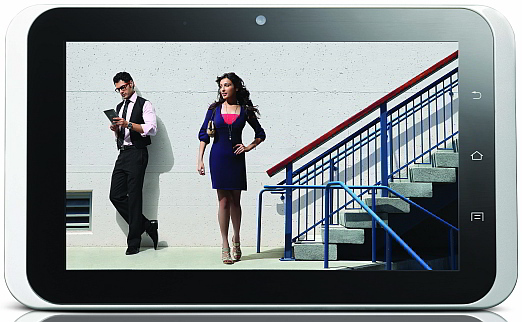 HCL has launched its 3G-enabled tablet – HCL ME Y2 in India. This is the third generation tablet from HCL, and competes with other 3G-enabled budget ICS tablets in the Indian market. The HCL ME Y2 offers 3G connectivity with an in-built SIM card slot and is priced at Rs 14,999. The device runs on Android OS 4.0.3 (Ice Cream Sandwich), and is equipped with a 2MP rear camera and a 0.3-mega pixel front camera for video chatting. The tablet sports a 7-inch multi touch capacitive screen with a 1024x600 pixel display. The tablet runs on a 1GHz Cortex A9 processor. It comes with 1GB of RAM, 8GB built-in storage, along with a memory card slot that can add another 32 GB. HCL ME Y2 also has a mini USB, mini HDMI and a micro SD card slot. It has a 4,000 mAh battery. The Y2 is enabled with Bluetooth and also provides for Wi-Fi connectivity. The HCL ME Y2 comes preloaded with a bunch of apps like Hungama app - free three months subscription to download and play unlimited music, videos and ringtones, Bigflix, ThinkFree Office Mobile, LinkedIn, Twitter, 3D Digital Weather Clock, Games, Sweet’ N ‘Spicy (huge collection of Indian Foods and Recipe), iBrowser, ICS Browser, Bollywood Hungama and Saavn. Along with the pre-loaded apps, The Y2 also has an access to the ME App store which has over 15,000 applications. Unfortunately, it looks like access to Google Play store is once again not available. The HCL ME Y2 will be supported by an integrated back up service - HCL Touch, a 24X7 one touch service facility. HCL ME Y2 tablet will be available in stores in Delhi and across the country from today onwards.